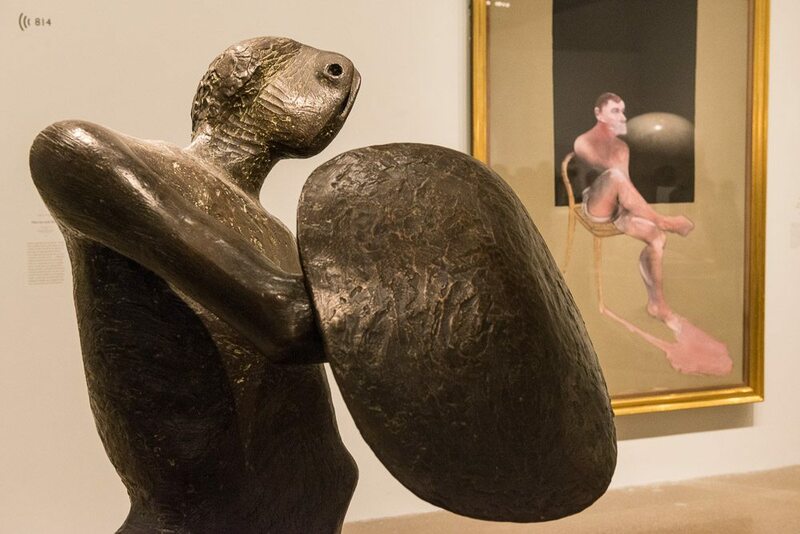 New exhibition at the Art Gallery of Ontario showcases the terrible beauty of the works of Francis Bacon and Henry Moore. While the AGO has showcased Moore’s sculptures for the past 40 years, this exhibit marks the first major Canadian presentation of Bacon’s glass-encased works. “My painting is not violent,” Bacon once noted. “It’s life itself that’s violent.” His work is the stuff of nightmares—spines threaten to escape bodies; toothy mouths appear on appendages; popes become screaming figures with blurred faces reminiscent of the face-melting climax of Raiders of the Lost Ark. Based on a show originally presented at the Ashmolean Museum in Oxford, the exhibit pairs works from each artist to highlight similar themes and subject matter (there is, for example, a section devoted to crucifixion). According to the exhibit’s introduction, these pairings “create a dialogue showing their shared awareness of human suffering and mortality that is a testament to human strength and resilience.” The show emphasizes the impact the Second World War, especially the London Blitz, had on their art—Bacon was a civil defence volunteer, and Moore a government artist. Wartime photographs by Bill Brandt (who functions almost as a third featured artist) ground the art, especially Moore’s haunting sketches of people sheltering in the London Underground. At yesterday’s media preview, Oxford emeritus fellow Dr. Francis Warner suggested that Bacon and Moore are two sides of the same coin: although they did not influence one another—and Moore’s work is more passive than Bacon’s—behind the distorted, violent surfaces, Warner finds a “never give up” humanistic spirit in their works that reflects Britain’s wartime striving for victory.